I still haven't got any rewards for the Indy events. 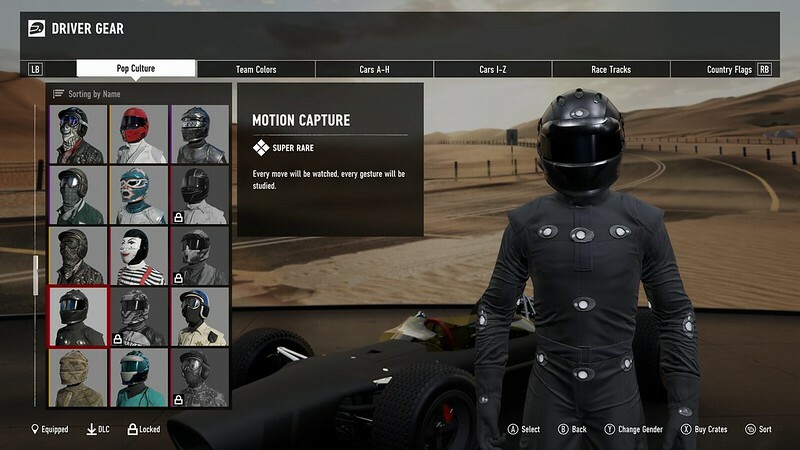 Driver Gear: Motion Capture suit from ForzaRC Pro-Am Rivals ending ? 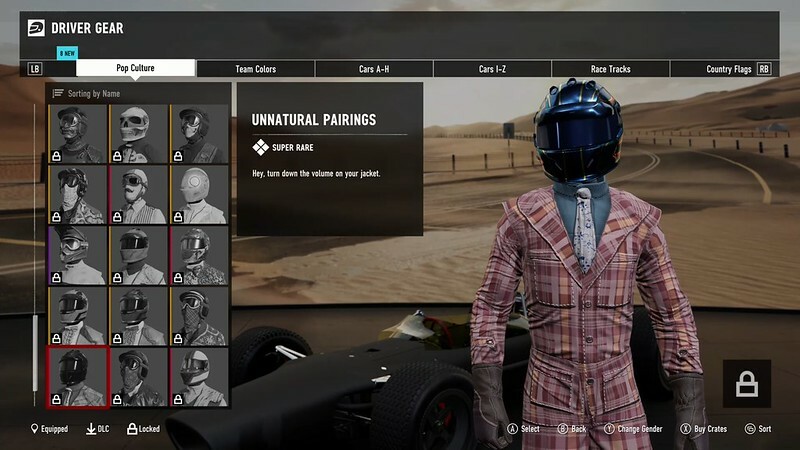 Driver Gear: Unnatural Pairings suit from ForzaRC Pro-Am Rivals ending ? 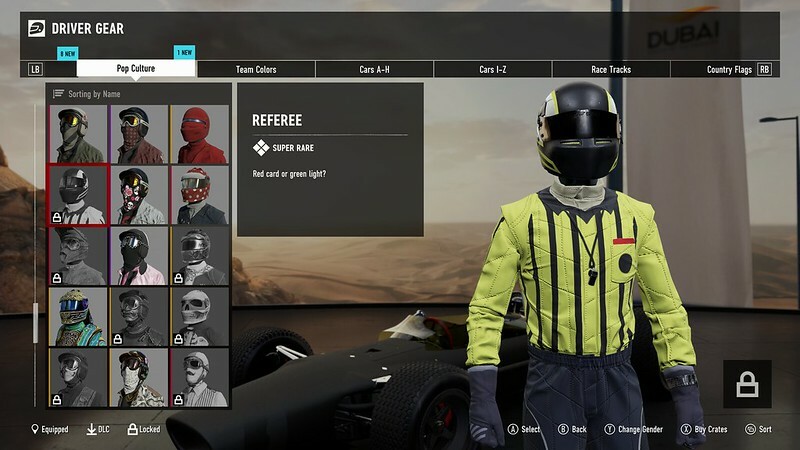 Driver Gear: Referee from June ForzaRC Bounty Hunter Rivals ending early July. 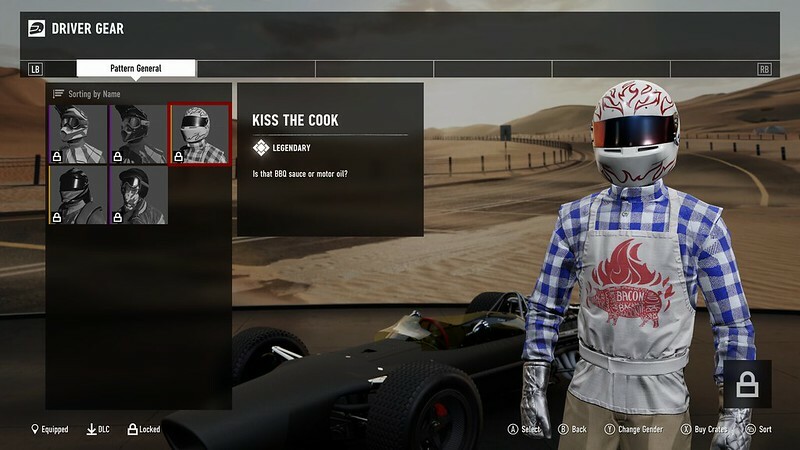 Driver Gear: Kiss the Cook suit from Forzathon June 22-29. 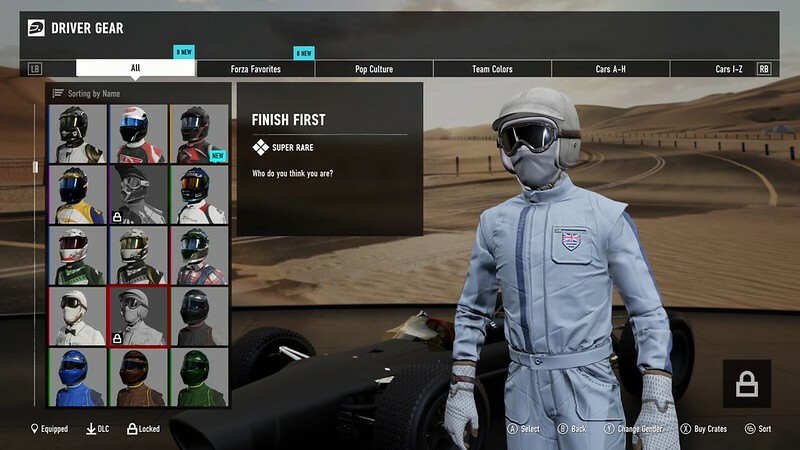 Driver Gear: Finish First suit from Forzathon June 15-22. 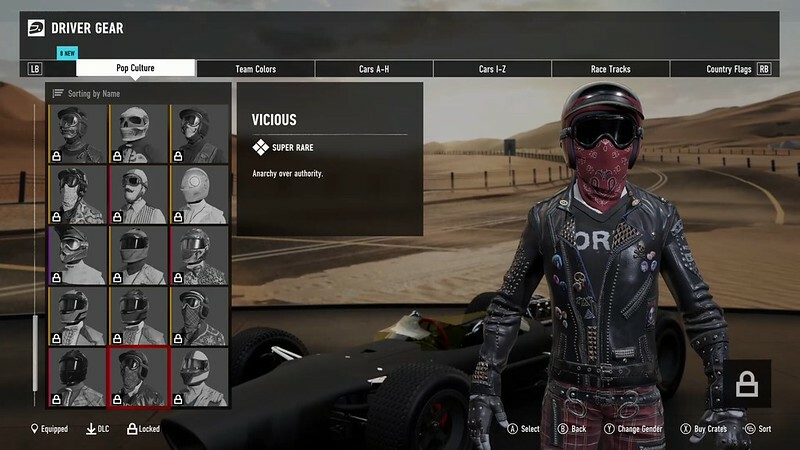 Driver Gear: Vicious suit from ForzaRC livestream June 17. 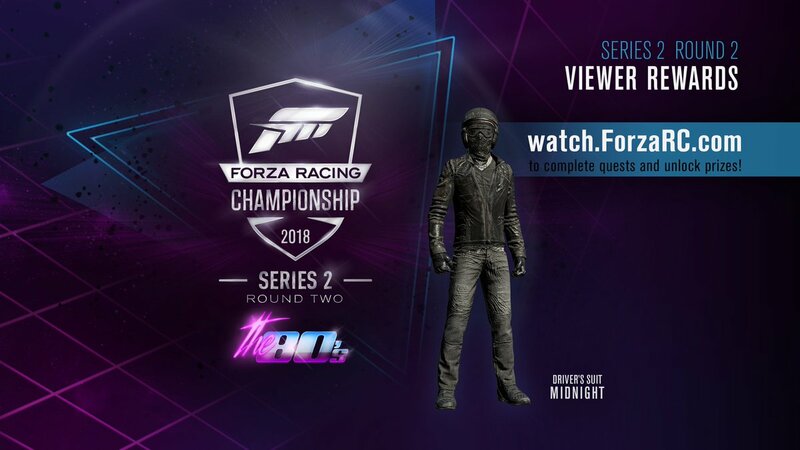 Driver Gear: ForzaRC Seattle suit from ForzaRC livestream June 16 & 17. 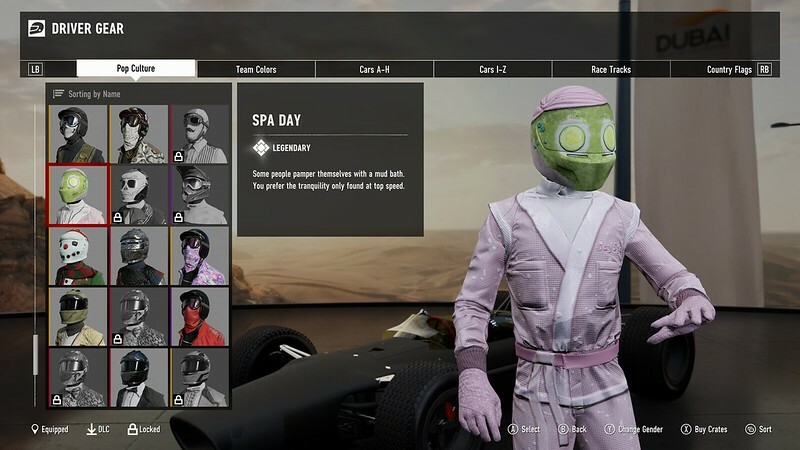 Driver Gear: Spa Day suit from ForzaRC livestream June 16. 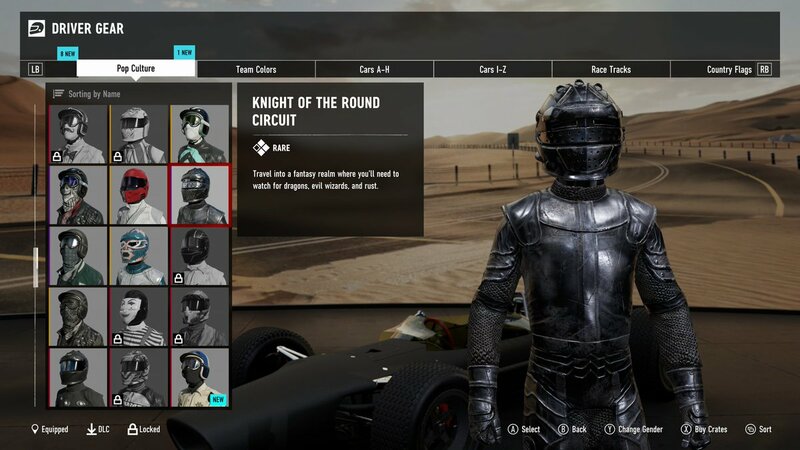 Driver Gear: Knight of the Round Circuit from ForzaRC livestream June 6. FINISH FIRST | Pop Culture | Super Rare | Who do you think you are? 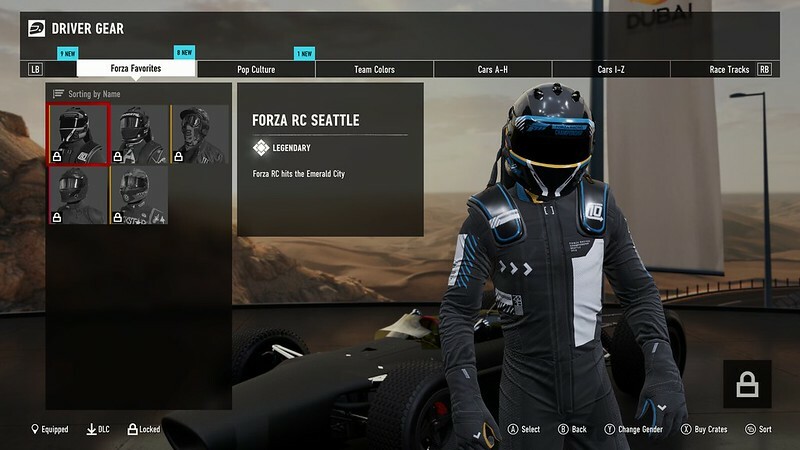 FORZA RC SEATTLE | Forza Favorites | Legendary | Forza RC hits the Emerald City. 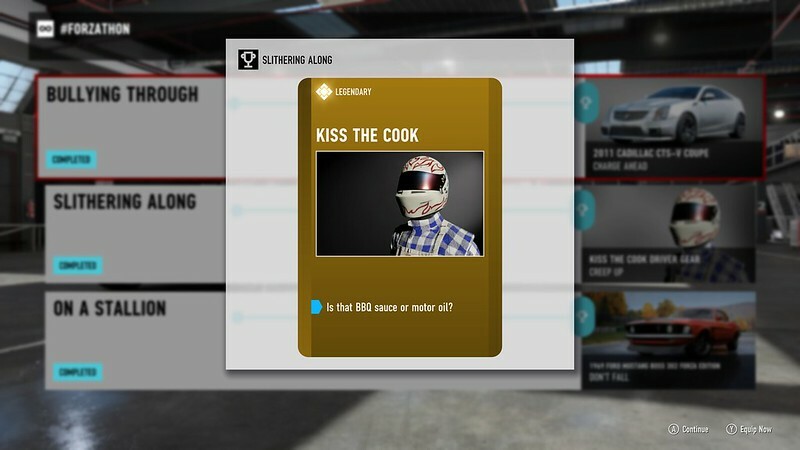 KISS THE COOK | Pattern General | Legendary | Is that BBQ sauce or motor oil? KNIGHT OF THE ROUND CIRCUIT | Pop Culture | Rare | Travel into a fantasy realm where you'll need to watch for dragons, evil wizards, and rust. MOTION CAPTURE | Pop Culture | Super Rare | Every move will be watched, every gesture will be studied. REFEREE | Pop Culture | Super Rare | Red card or green light? SPA DAY | Pop Culture | Legendary | Some People pamper themselves with a mud bath. You prefer the tranquility only found at top speed. UNNATURAL PAIRINGS | Pop Culture | Super Rare | Hey, turn down the volume on your jacket. VICIOUS | Pop Culture | Super Rare | Anarchy over authority. I’m still hoping to score the ford driver’s gear, along with Ferrari. 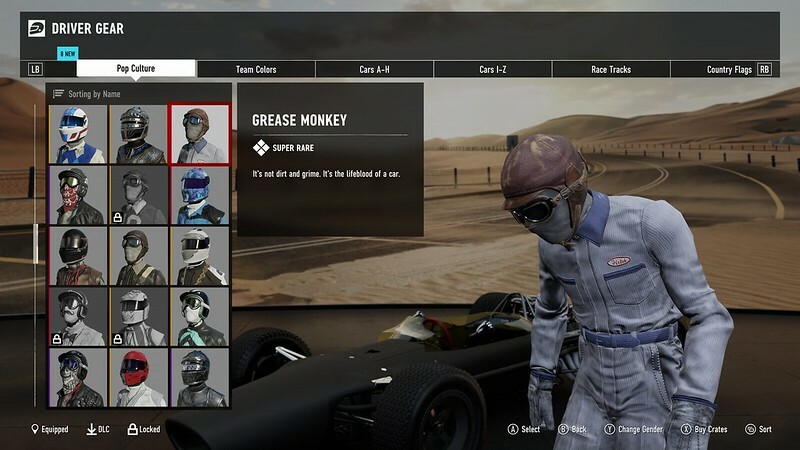 There aren't Driver Gear for every manufacturer, so there's no way to collect Ford or Ferrari. 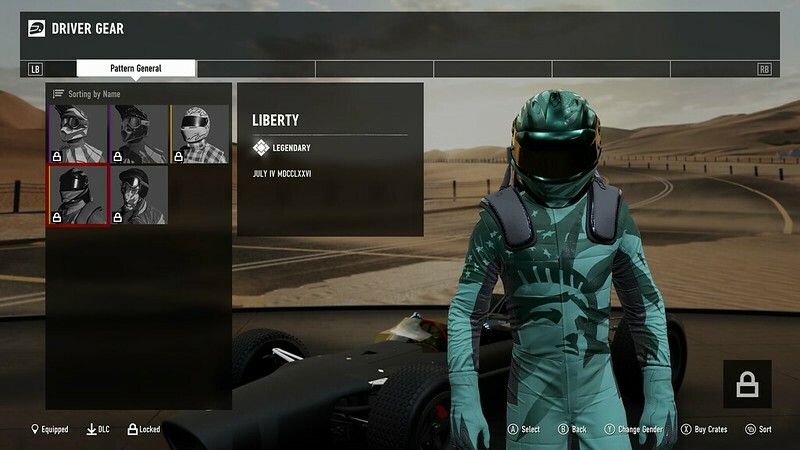 You can see the available suits to collect by filtering the Driver Gear menu by Locked. 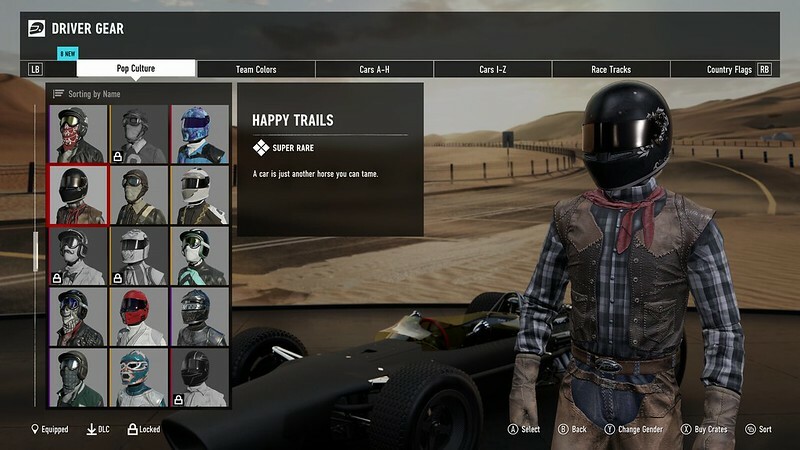 According to this thread I'm missing 30 non-exclusive driver gears. 35 more aren't available yet, and I missed another 36 from contests. 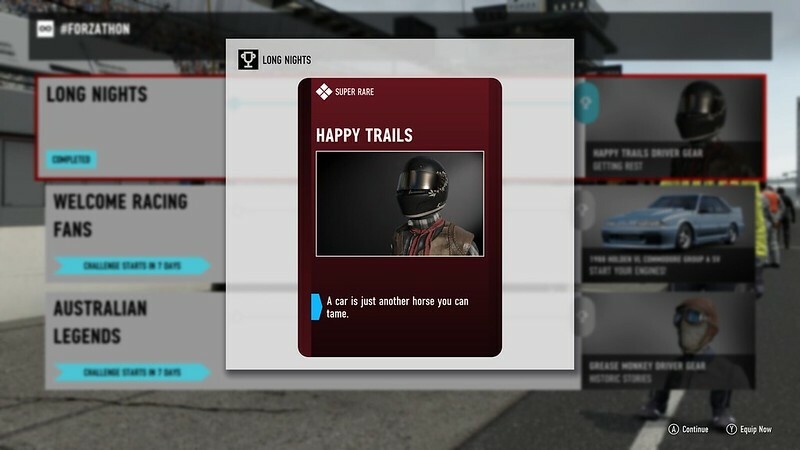 I'm just talking about those appearing in the game as locked, I ignore the promo driver gears. 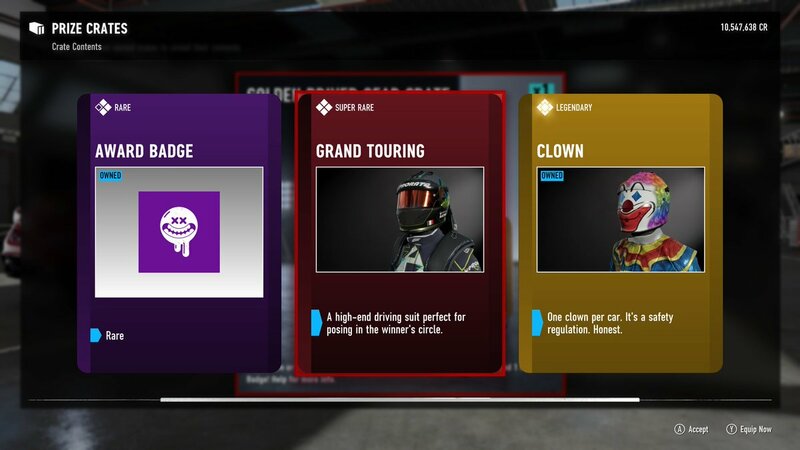 Yesterday I bought 100 driver gear boxes and only got 1 new driver gear. 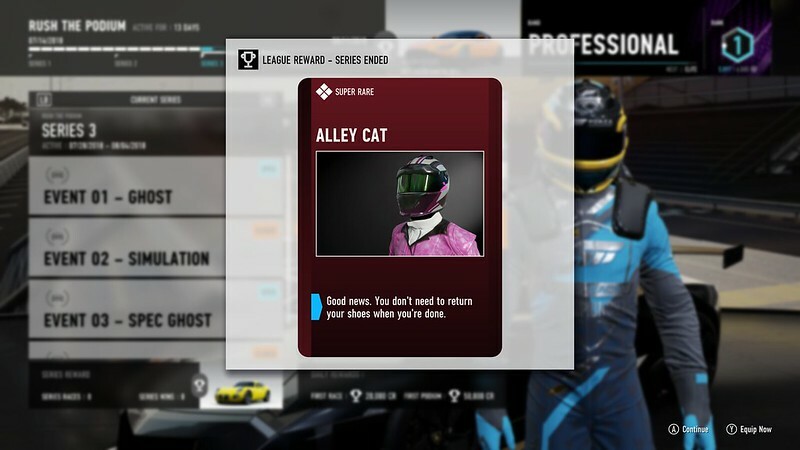 I also reached the point where I don't get driver gear in level ups anymore, all I get now are mod packs. 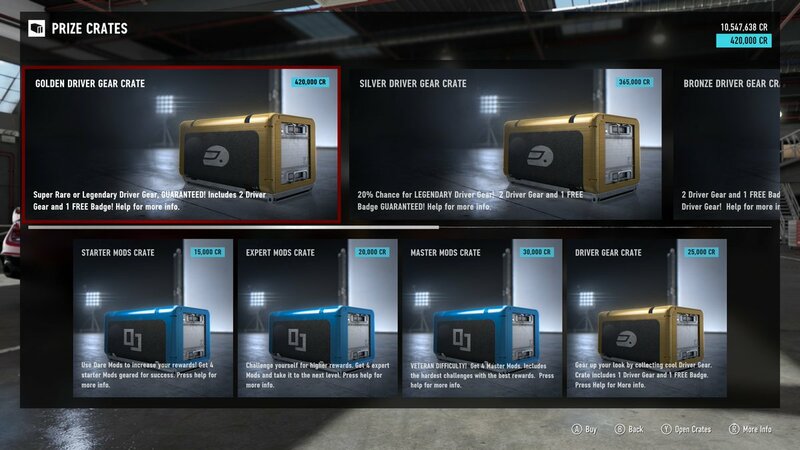 It does appear that there's a set of gear withheld from the prize crates. Check back next week though, since there will be no more cars in prize crates there may be more opportunities for suits. HAPPY TRAILS | Pop Culture | Super Rare | A car is just another horse you can tame. GREASE MONKEY | Pop Culture | Super Rare | It's not dirt and grime. It's the lifeblood of a car. 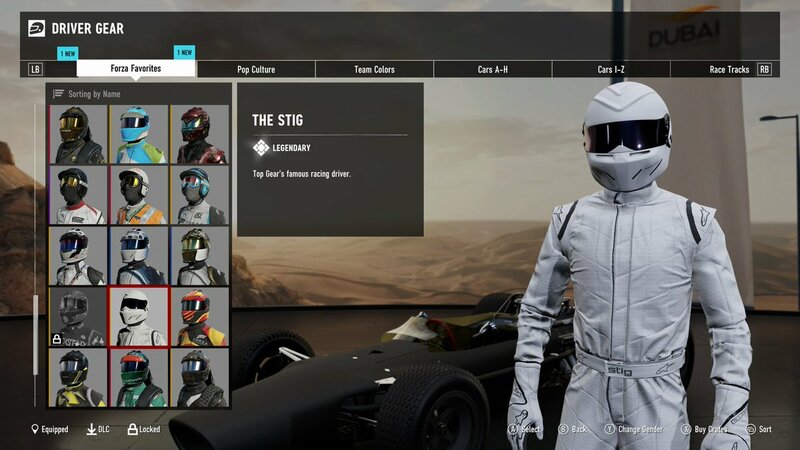 THE STIG | Forza Favorites | Legendary | Top Gear's famous racing driver. Thank you, i have also Bandit and Boo! 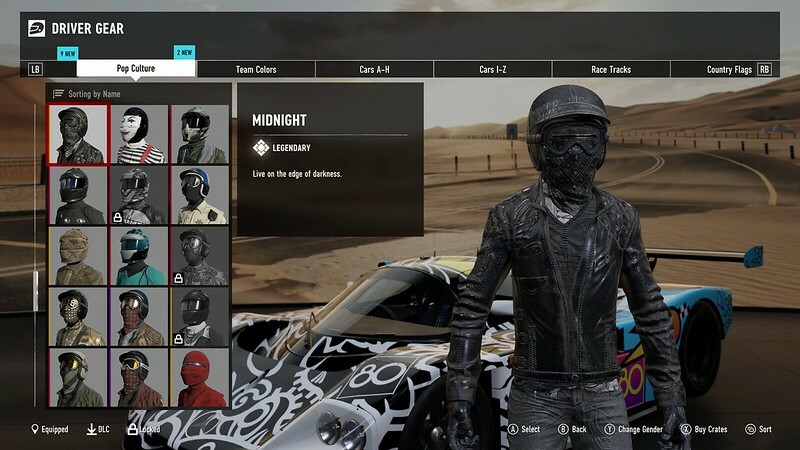 What is the other legendary suit available in theses crates ? I also got Diver, which is Legendary, and Band Leader Pink and Construction Worker. 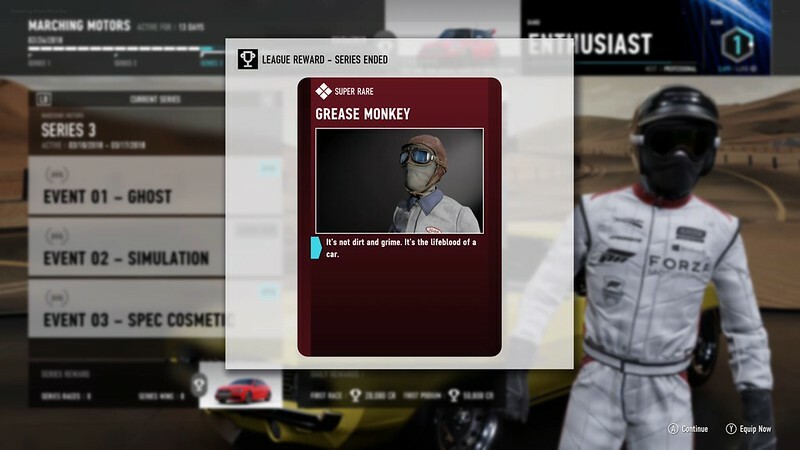 Grease Monkey was previously offered as a reward in March Leagues. 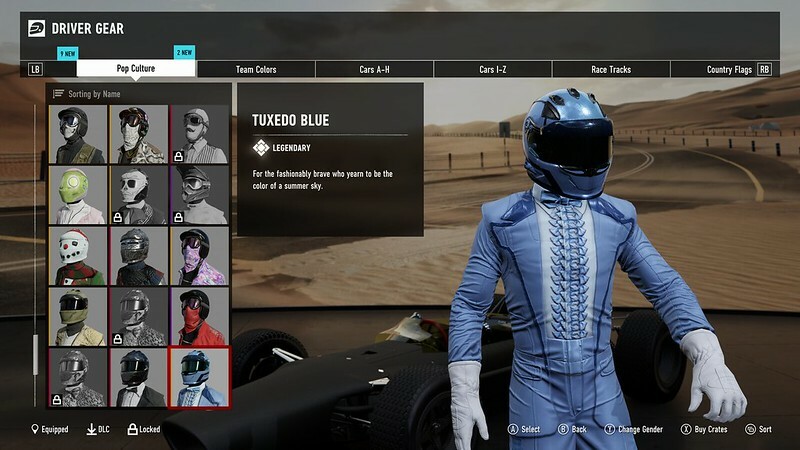 Next week's Forzathon offers the Tuxedo Blue Driver Gear. 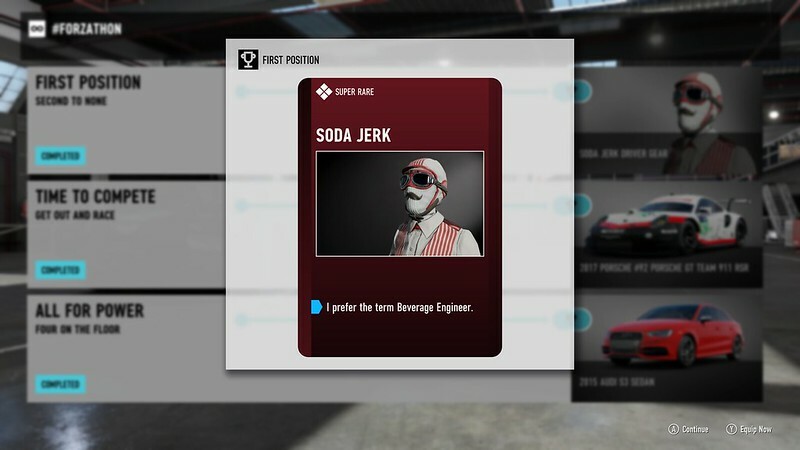 Next week’s suit is the Soda Jerk. MIDNIGHT | Pop Culture | Legendary | Live on the edge of darkness. 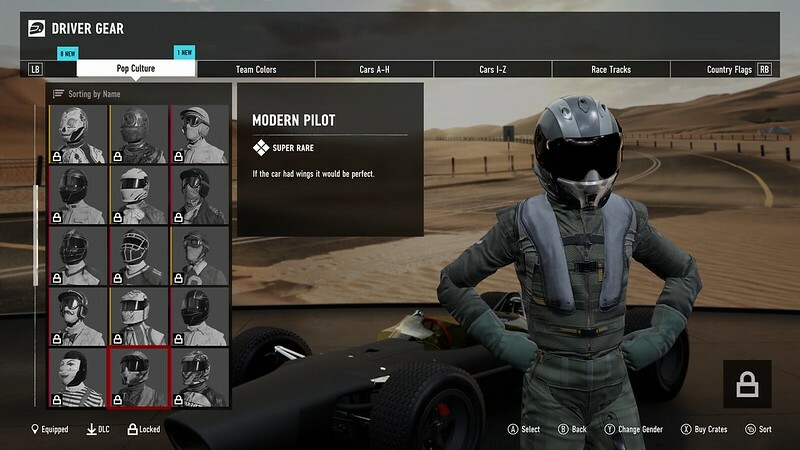 It’s a little late for this but I’m trying to figure out why I didn’t receive the FM4 driver gear? I had thousands of hours on that game. This has now been renamed "The Stig's Digital Cousin" and the tag line is now "A relative of Top Gear's famous racing driver."